This post is sponsored by Children’s Miracle Network Hospitals but all opinions are my own. Before I had kids, I worked for a children’s hospital doing cancer research and bone marrow transplants. My particular job was in the laboratory, and each sample we received was given a case number before it arrived. 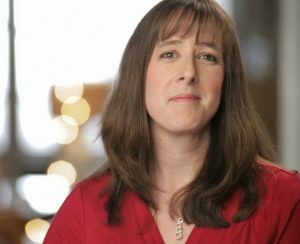 Each tube, vial, and bottle was merely a collection of letters and numbers for us to run tests on – until the first day that I was called over to the hospital floor to pick up something for my boss. The first time I saw the children lying in hospital beds, those samples became so much more real to me. Those children and millions more like them need help from people like you and me in order to help them beat the various illnesses that keep them stuck in their hospital rooms. And places like Children’s Miracle Network Hospitals are doing their part to help. Children’s hospitals have an incredible financial need if they are going to be able to continue their mission of curing childhood illness. Children’s Miracle Network Hospitals raises funds and awareness for 170 children’s hospitals in the U.S. and Canada. Donations stay local and are used however the hospital needs them the most. That means the money you donate to Children’s Miracle Network Hospitals could be helping children in your very own community conquer a devastating illness. The amount of money that children’s hospitals need to operate is really rather staggering, and they can’t do it without help. Children’s Miracle Network Hospitals in the U.S. provide more than $3.5 billion in charitable care every single year. Your donations are used to purchase life-saving equipment, conduct research, and pay for the special things that make a children’s hospital a children’s hospital and so crucial to a child’s healing. Things like specialized therapy programs, equipment in multiple sizes, playrooms, and many other unique items. Kids have specialized needs for both physical and emotional healing, and the Children’s Miracle Network Hospitals wants to make sure they have everything they need in order to get well. However, they can only provide this high level of care if people like you and I donate! There are many ways that you can get involved in raising awareness and funds for Children’s Miracle Network Hospitals. I ordered a Children’s Miracle Band to help raise awareness for this great cause. 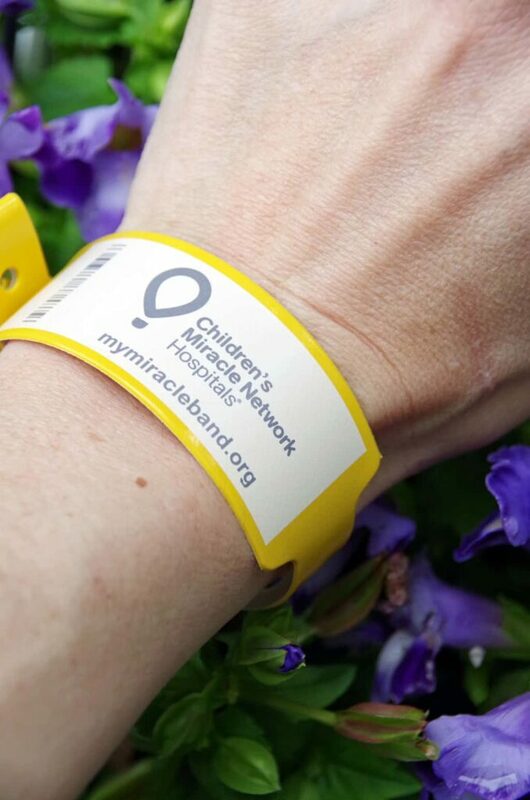 By “tearing, wearing, and sharing” my #miracleband, I hope to spread the message that local children’s hospitals rely on our support to provide life-saving care. 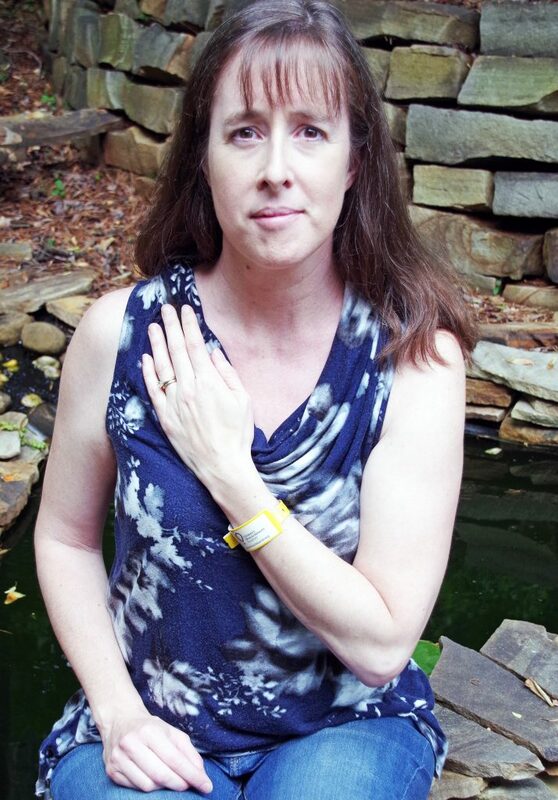 It took only a minute or two to fill out the online form with my name and address, but wearing that Miracle Band and striking up a conversation about it will help raise awareness and funds for an amazing cause. Children’s Miracle Network Hospitals can provide the very best care to the sickest of children only if people donate. Those children are more than just a case number—they could be a friend’s child, a neighbor, or someone else you know in your community. 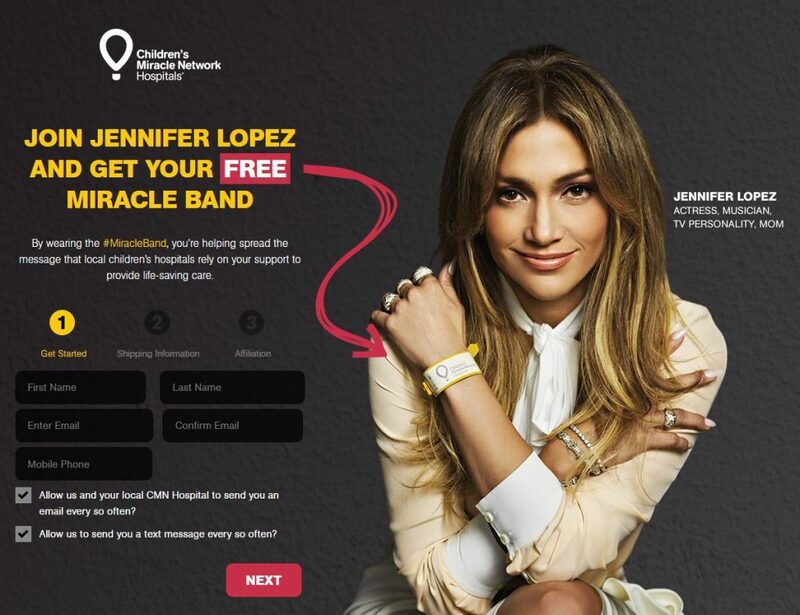 Order your own Miracle Band and start a conversation that may help save a life! Put your money where the miracles are. Support your Children’s Miracle Network Hospital. What a wonderful cause. I love it when celebrities give back. What a great cause, I love how easy it seems to be do this. It's always great to help others, for sure, especially children! It's so important to support and donate to children's hospitals. There are so many sick children, and it's so vital to have the therapy programs and life-saving equipment there for them. Children's Hospital has done so many great things and it's nice to know there is a place that specializes in caring for kids.